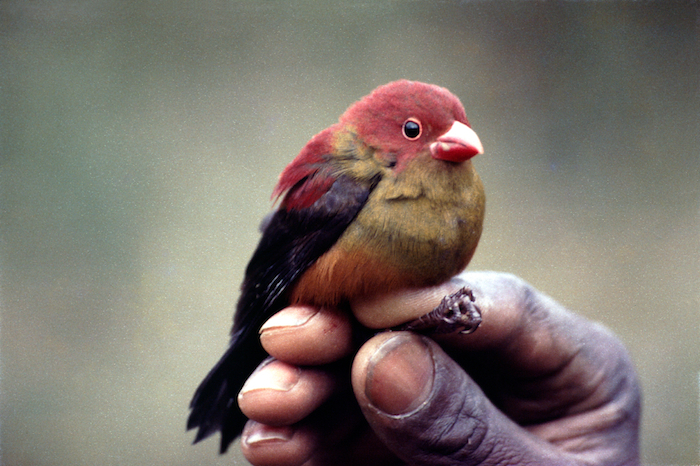 The Rare Finch Conservation Group ( RFCG ) was founded in August 2005 by a group of South African and Australian finch enthusiasts , who all volunteer their services, and wish to play a meaningful role in ensuring the ongoing survival in the wild of the world’s threatened finches. The founding members are all experienced in the field of finch husbandry and wish to utilise these skills to the benefit of wild finches. A rare photograph of an elusive Shelley’s crimsonwing. There is only one other known photographed of this threatened bird.